Well I’m back in Sunnyvale and have been for two weeks. I’ve just been busy working and socializing so not really had a proper chance to update. I seem to be such a frequent visitor to SFO that I was recognized on the way in at the border. The down side is that I am well and truly in the system. 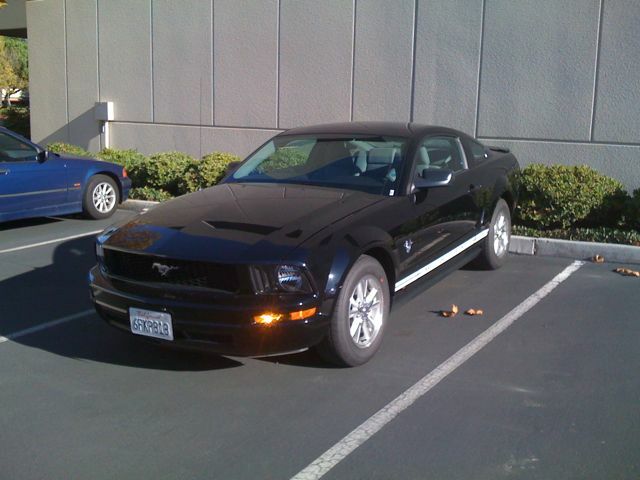 My trick of trying to rent a popular model worked again and I was upgraded to a nice black Mustang free. The first few days I was here with a colleague. Since I know the area I took him out for a meal to a restaurant I know. 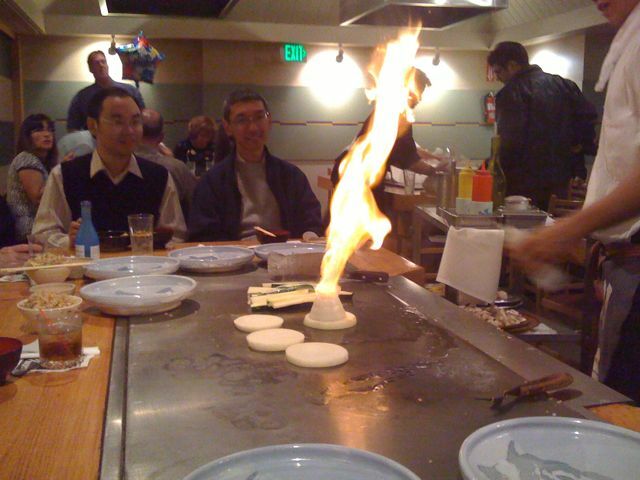 It’s a great Japanese steak and fish place in down-town San José. The chef cooks at the table. It is part cullinary expertise and part showmanship. Anyway the food was divine. I do love the infinitely refillable diet coke they have over here. It is often needed after a long day in the lab. Anyway back to work. Another update when I’ve finished sorting the photos taken with my DSLR so far.